Nationwide League One side, SKE have become the first big casualty of the Rivers State FA Cup after they were knocked out by non-League Rivers United Feeders. 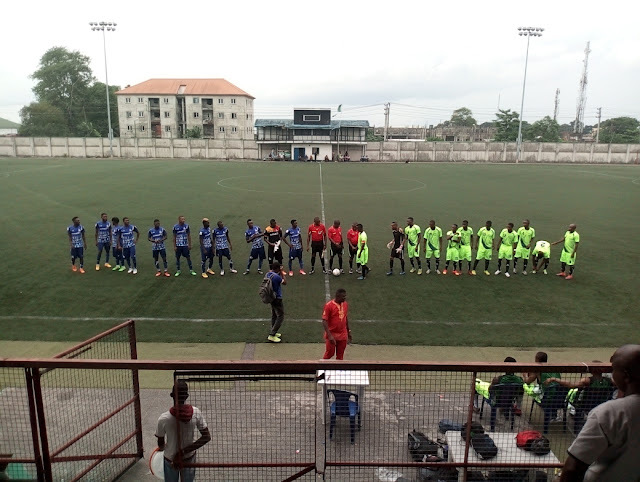 SKE were semi-finalists in the last two editions of the Cup losing bitterly to Rivers United in last year’s edition after taking them to a draw after full time. But it was Dagogo Jaja’s lone goal scored in the 75th minute that gave Rivers United Feeders the ticket for the quarterfinals of the competition. In what many termed a surprising result, SKE attackers’ squandered goal scoring opportunities that would have changed the game. 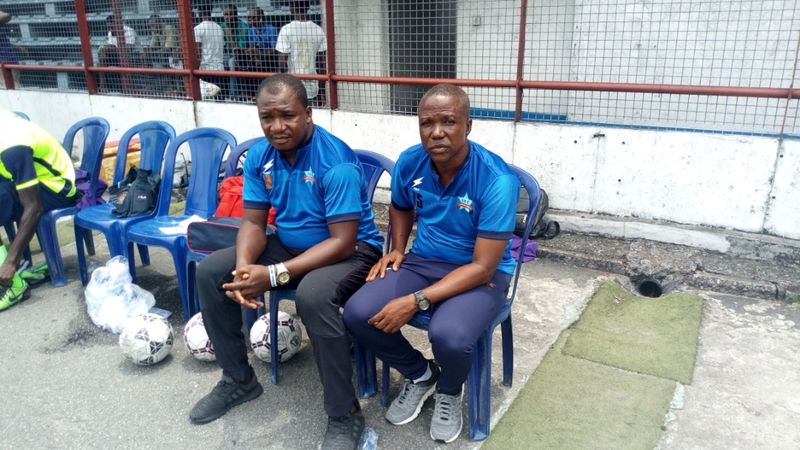 The Tunde Sanni coaches side no doubt were the better team on the day, but they left their supporters wondering whether their prospects would have been brighter if the players had not opted to switch off when they could have pushed forward to grab a win. The resilient Rivers United Feeders had their game plan well cut out, they got their tactics right and the rest they say is history. Speaking to Nigerianfootballer.com, Ken Chukwu coach of the Rivers United Feeders said that their grass-roots style of football helped his team overcome dreaded SKE side. “We believe in catching them young, play the simple game, keep the ball on, be hungry. It’s our slogan,” Chukwu demonstrated joyfully. Dagogo Jaja who scored the only goal of the encounter told NigerianFootballer.com the kind of instructions the coach gave to them. “Our coach told us to hold the ball and press the opposition in the first half and then counter them in the second. “I am glad the tactics worked out for us,” He told Nigerianfootballer.com. 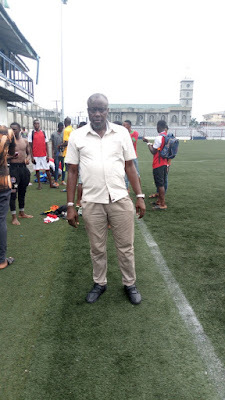 Coach Sanni of SKE who expressed his sadness, could not explain how or why they lost the game. “Yes, my boys disappointed me; hope you watch the game very well. I don’t think they are the better side, but we relaxed and that’s the name of FA Cup. “It does not respect any team. May be because they see them… I don’t know what really happened to them, this is not the way some of them play. This game has exposed some of our players, everybody should not think they have gotten to their A level. I can’t even explain it, I can’t explain it,” Sanni told Nigerianfootballer.com. Sack Eguma: Rivers United Showed Class to Silence Fans. Goals from Temple Emekayi (11th minute), Malachi Ohawume ( 49th minute), and Wasiu Jimoh (68th minute) gave Rivers United 3-0 win over Ambassadors FC in the other match of the day. But the win was tainted by the fans’ action against Rivers United manager, Stanley Eguma as they openly showed they wanted him out of the team as there were chants of “Eguma must go!” rent the air almost all through the game. The Pride of Rivers overcame the nuisance of the fans to qualify for the quarter-final stage of the FA Cup. The closing stage of the game saw Brown West, coach of Ambassadors FC sent off for dissent. 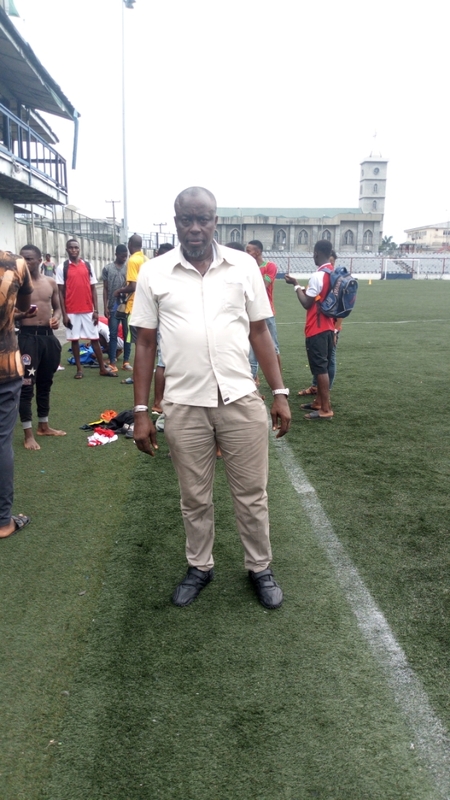 Reacting after the encounter, Brown West admitted that it was a good experience to be defeated by the best football team in Rivers State. Stanley Eguma was excited that his side scored 3 good goals on the day and told NigerianFootballer.com that they will not underrate any team in the competition. “Yeah, it was a good game, we played better and we won, that’s what we planned for. “And I think this is the beginning, this is just the first leg, and we will go back and work for further games, we know the FA Cup does not respect any team,” Eguma told NigerianFootballer.com.